Not knowing what to do after receiving that devastating news, Swink started to deal with the heartbreak of cancelling her own wedding. 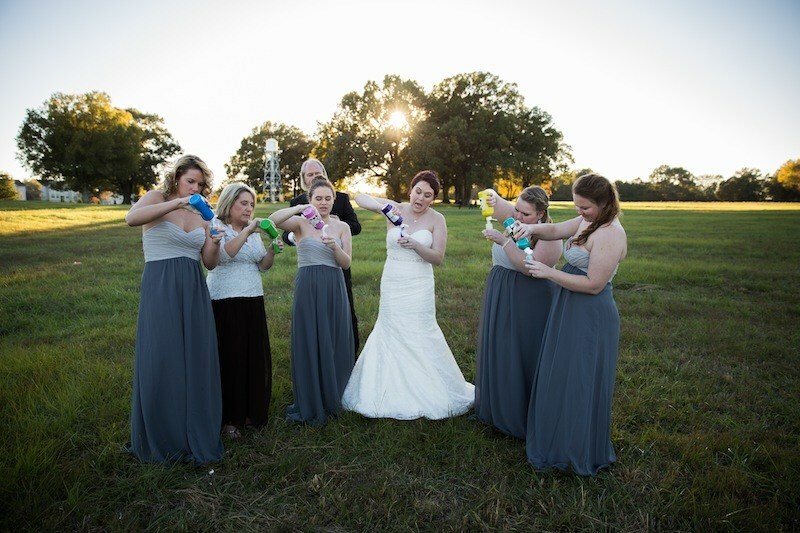 But with the day that was supposed to be her wedding quickly approaching, she knew she needed to find a way to mark the occasion in order to start the healing process. 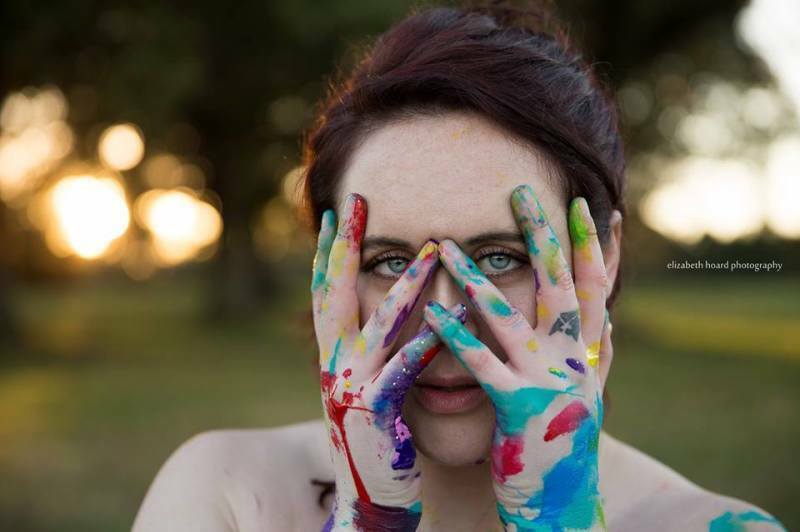 So, with the urging of her friends and family, she decided on a “trash the dress” photo shoot. 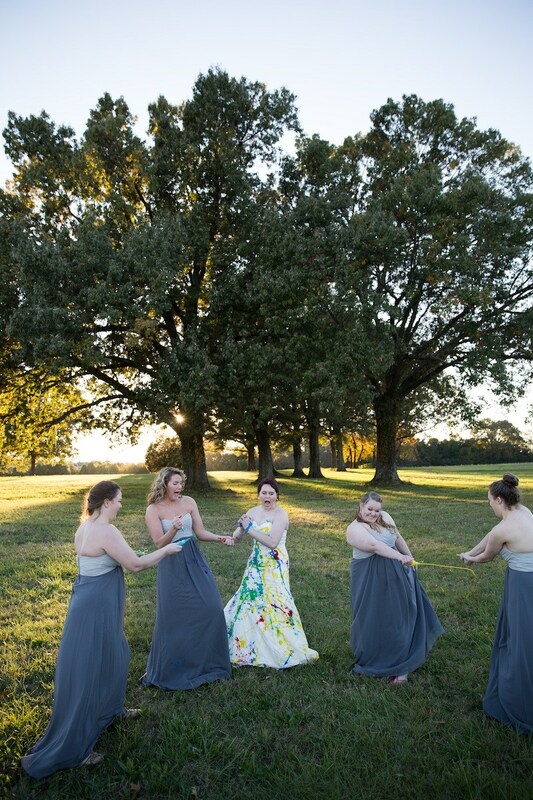 My bridesmaids and parents supported the idea 100% and even joined me in their own dresses and suit. 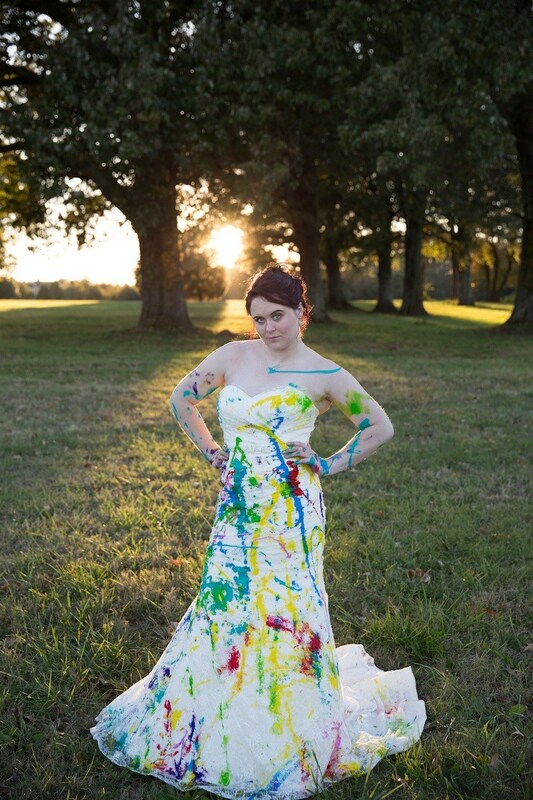 My friend Carolyn didn’t even wait for my photographer Elizabeth to say “go” — she just kind of threw the paint on me. 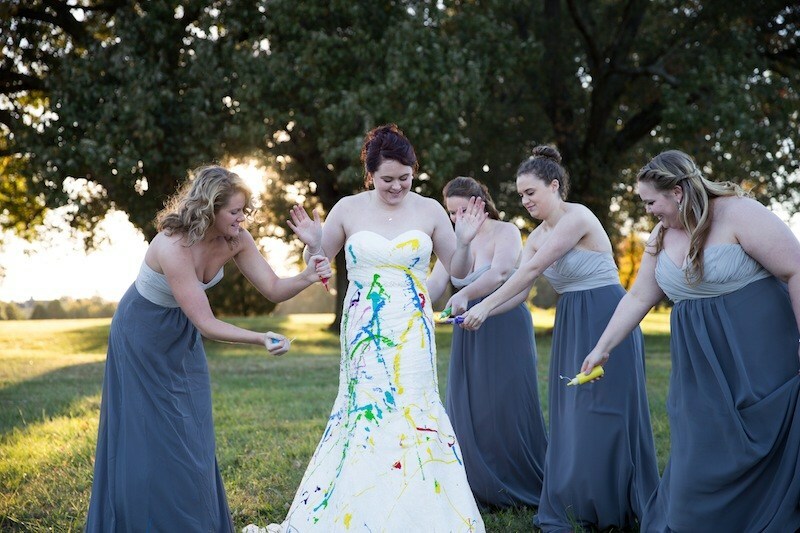 The moment the paint hit my dress… I was free. All the disappointment, all the hurt… I just felt it leave me. I can’t even describe how liberating and cathartic the experience was for me. I let go of all the hurt and became myself again. 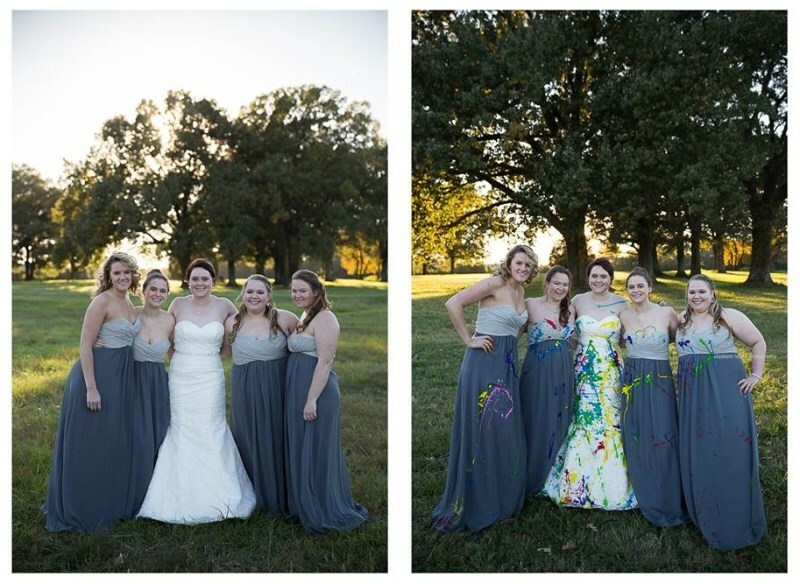 Her bridesmaids really got into trashing her dress. Afterwards, my dress was proudly displayed at The Barefoot Bride in Memphis. Through the beginning of 2015, a portion of each wedding dress purchased while my dress is displayed will go to a Memphis non-profit that helps other women learn how to find their inner strength. What a positive way to deal with a very difficult situation. Bravo, Shelby! All photos by Elizabeth Hoard Photography.